Tagline: "Wanted Dead or Undead." High Moon was previously titled Howlers. Now, this time-shifting feature is slated to release this May, via Alliance Entertainment and Archstone Distribution. 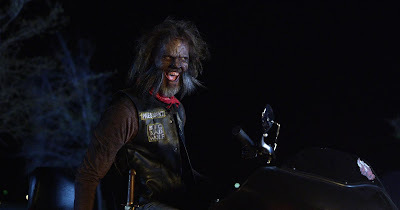 In the film, Colt is a werewolf slayer from the Old West. Rising from the grave in the future, Colt is determined to track down the werewolves who brutally murdered his wife in the past. 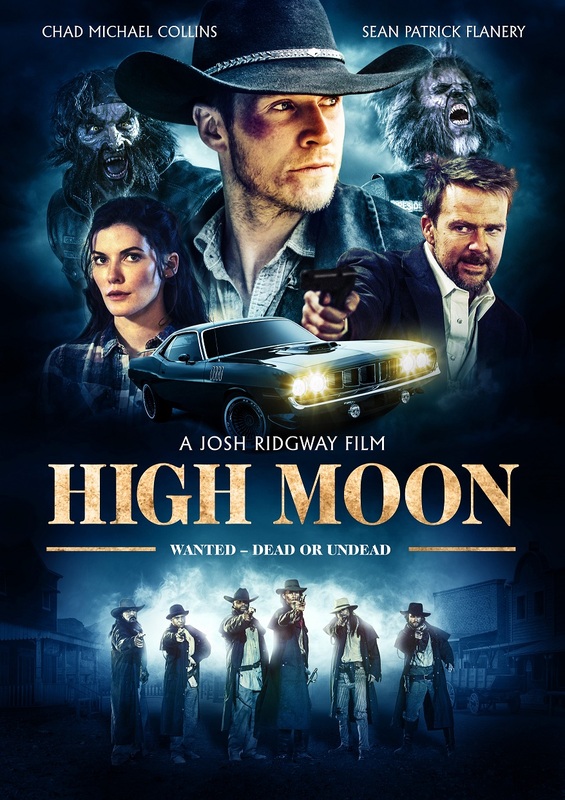 As well, High Moon is from actor and director Josh Ridgway (The Sector). The film stars: Chad Michael Collins (Extinct, 2017), Sean Patrick Flannery, Chelsea Edmundson and many more. More details, on the release of High Moon, are here. The longer synopsis mentions Colt (Collins) returning from the grave. A small town is under attack by werewolf bikers, so Colt must find a way to intervene. A true monster hunter, Colt will vanquish every howler, that still walks the Earth. But, Willie still stands in his way - the leader of the outlaw werewolves. Can Colt still put his enemies in the grave, after returning from the dead - himself? High Moon is slated for a mid-May release. On May 14th, this title will show on most Digital platforms. There are plans to release the film, on DVD, in early July. Home entertainment fans will have lots of opportunities to see this genre-bending film this year. For now, the latest release trailer for High Moon is below. Release Date: May 14th, 2019 (Digital) and July 2nd, 2019 (DVD). Cast: Chad Michael Collins, Chelsea Edmundson, Sean Patrick Flannery, Tom Zembrod, Matthew Tompkins and Jimmy Wlcek. *shot in parts of Texas and Los Angeles.